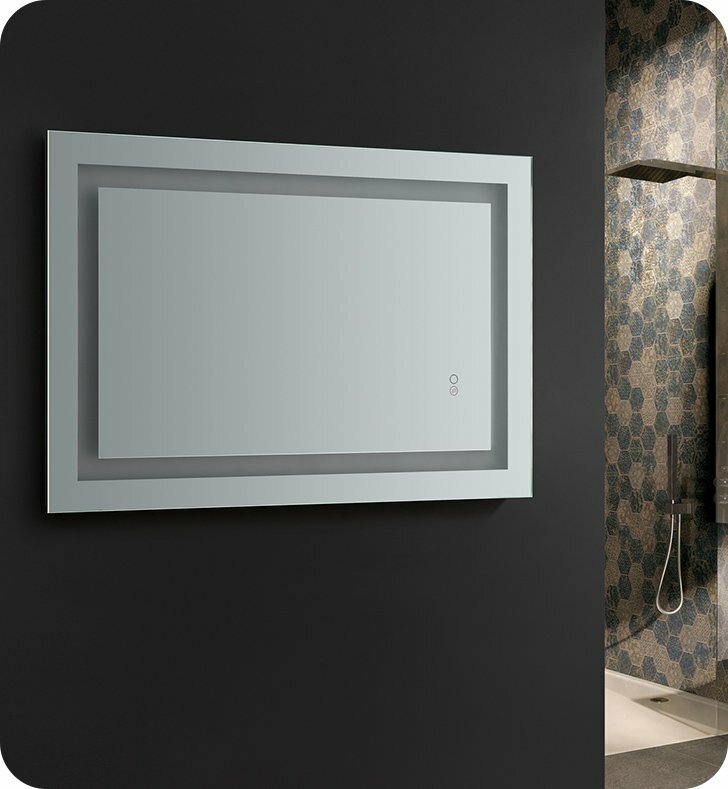 Transform the look and feel of your bathroom with the Fresca Bathroom Mirror. 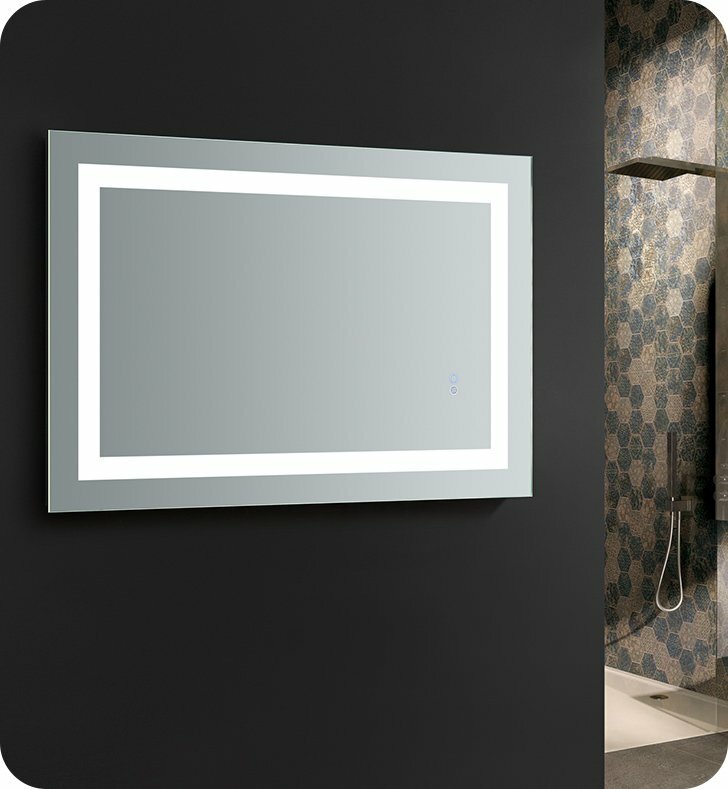 This mirror is the perfect union of sleek design and modern technology. 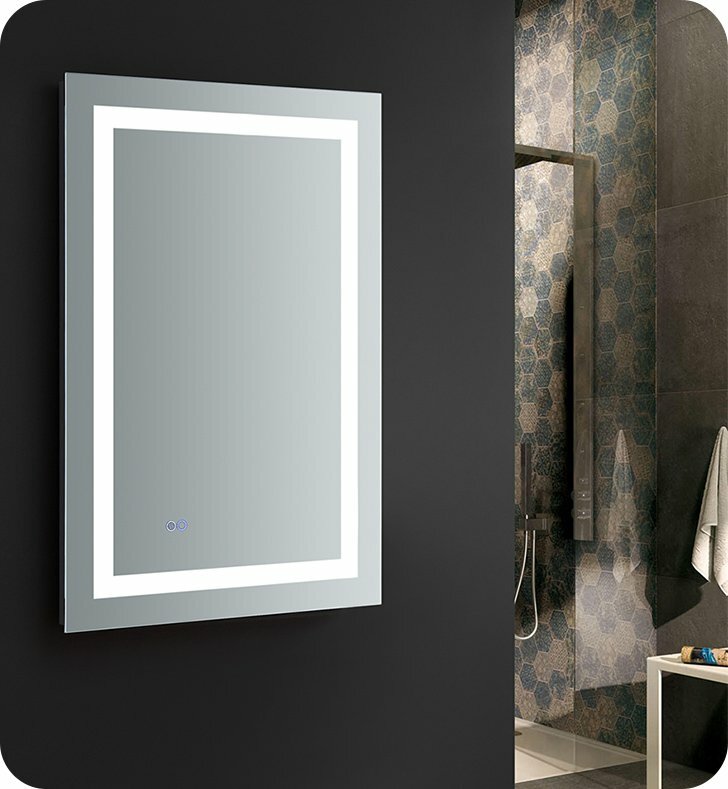 It offers a magnificent halo of light around the edges, offering high output LED lighting for applying makeup, hairstyling or shaving. 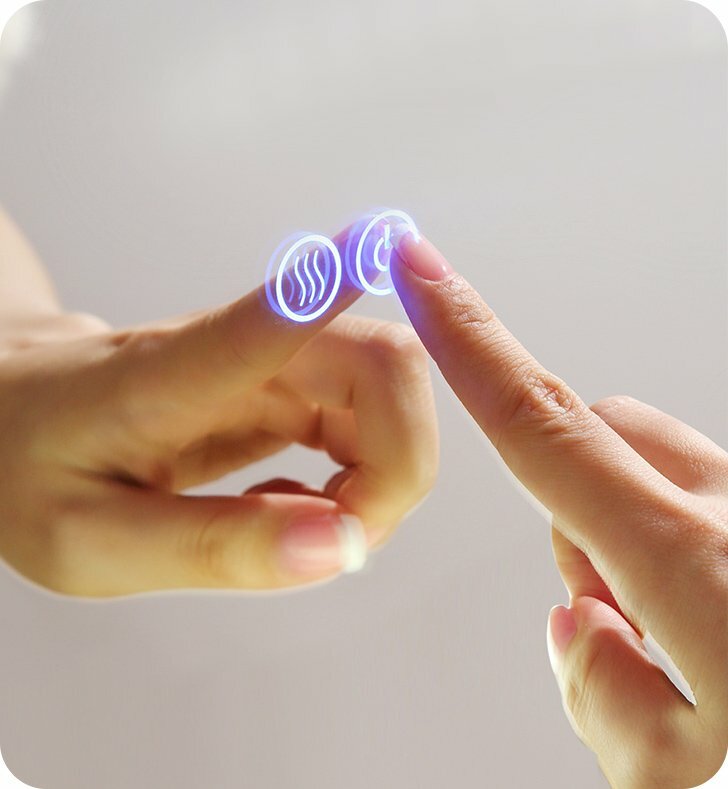 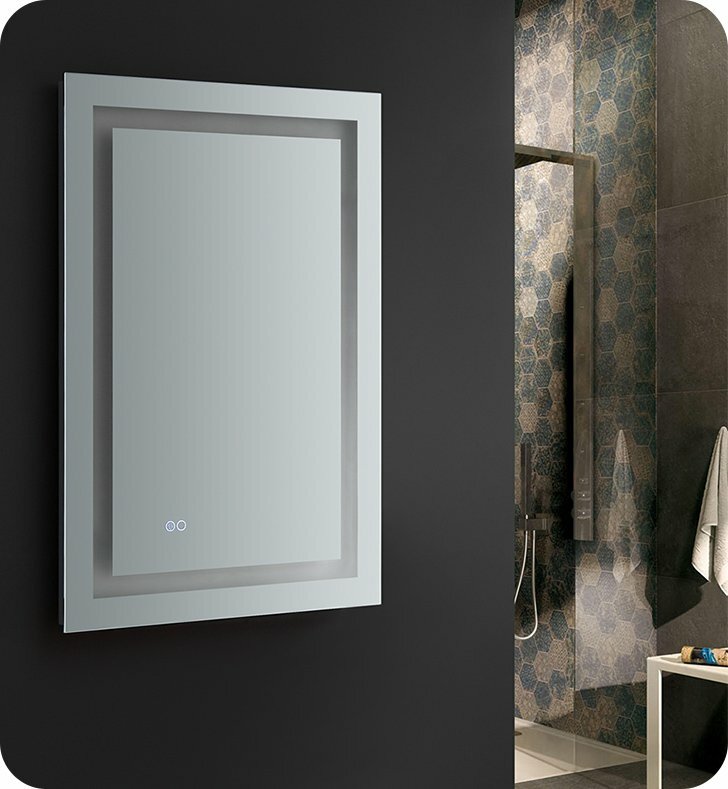 A dimmable touch switch allows you to create ambience or use the LED surface light as a night light to guide family members after dark. 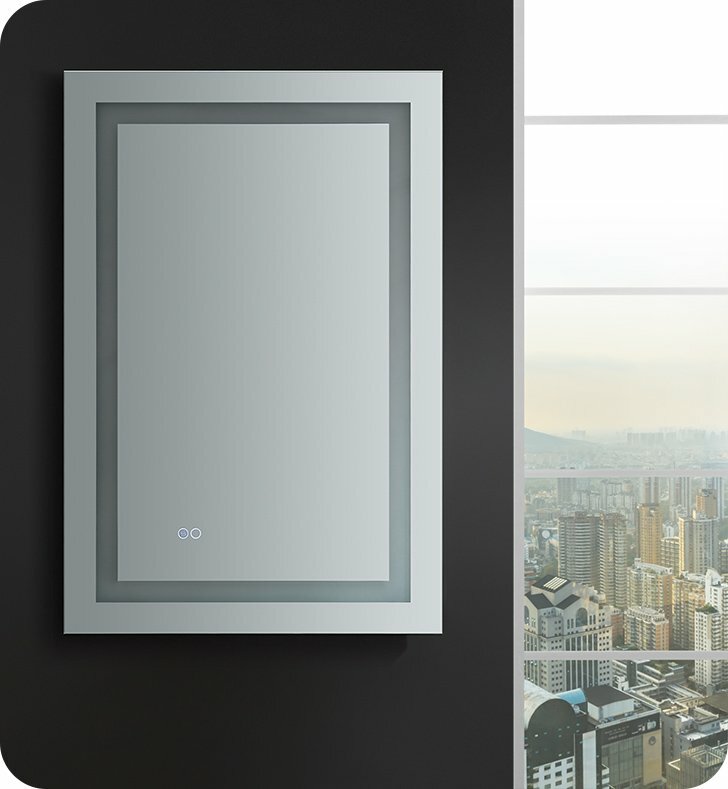 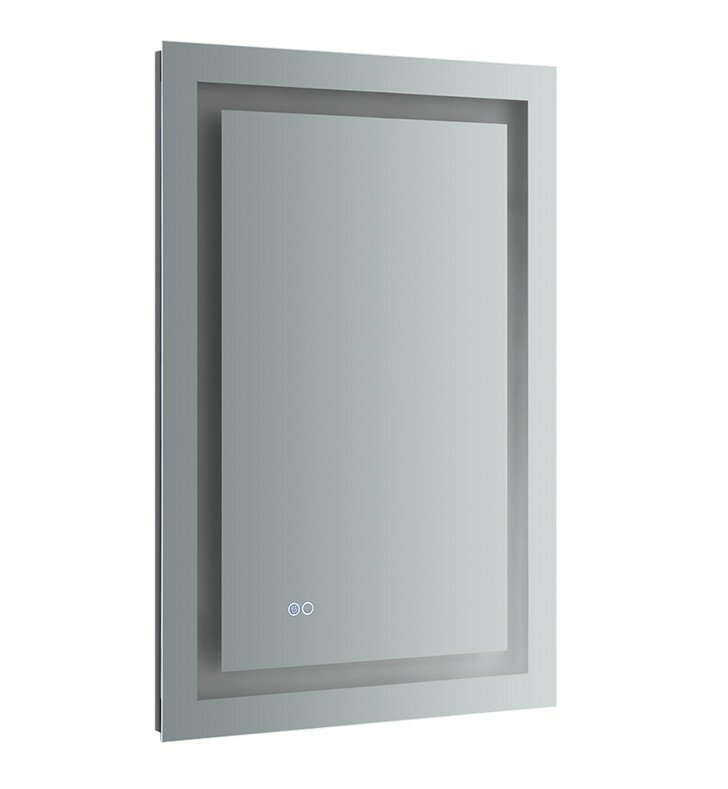 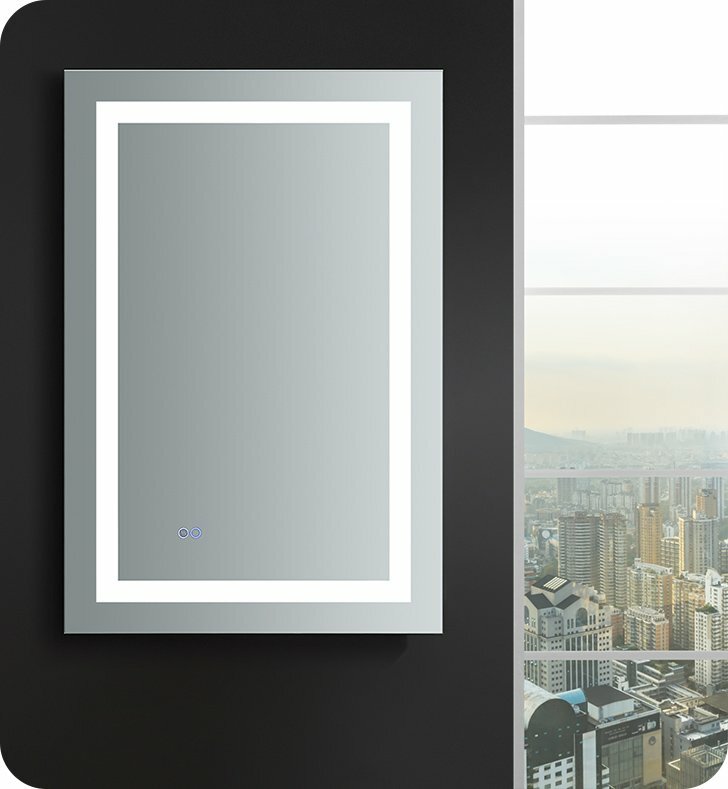 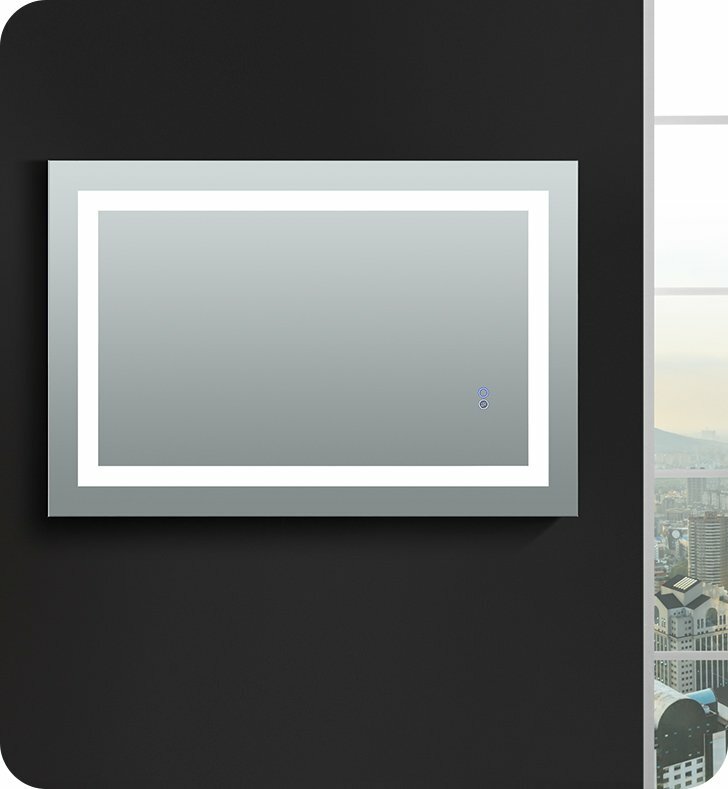 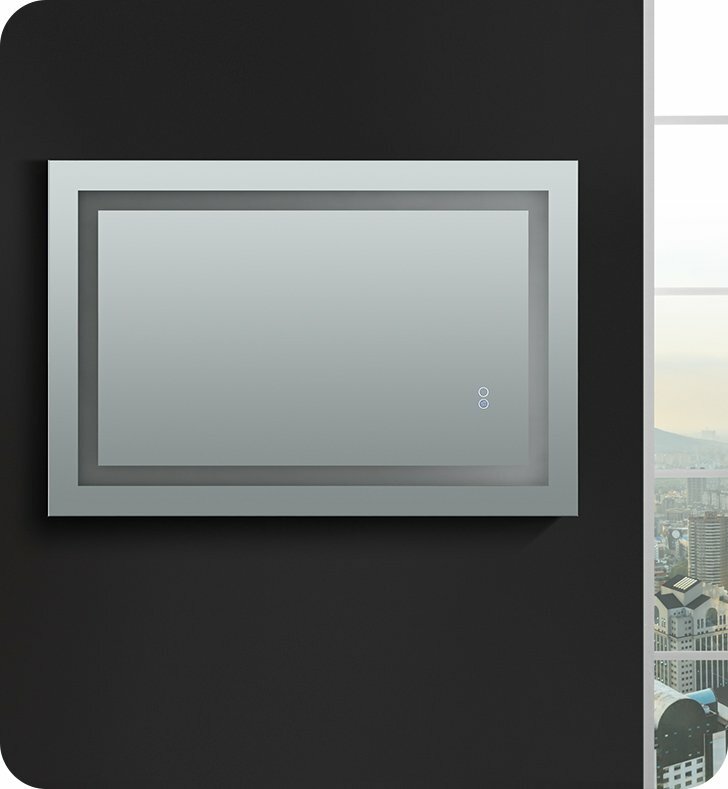 This stylish 5mm copper-free silver mirror also has a defogger feature with a touchable switch on the bottom left corner. 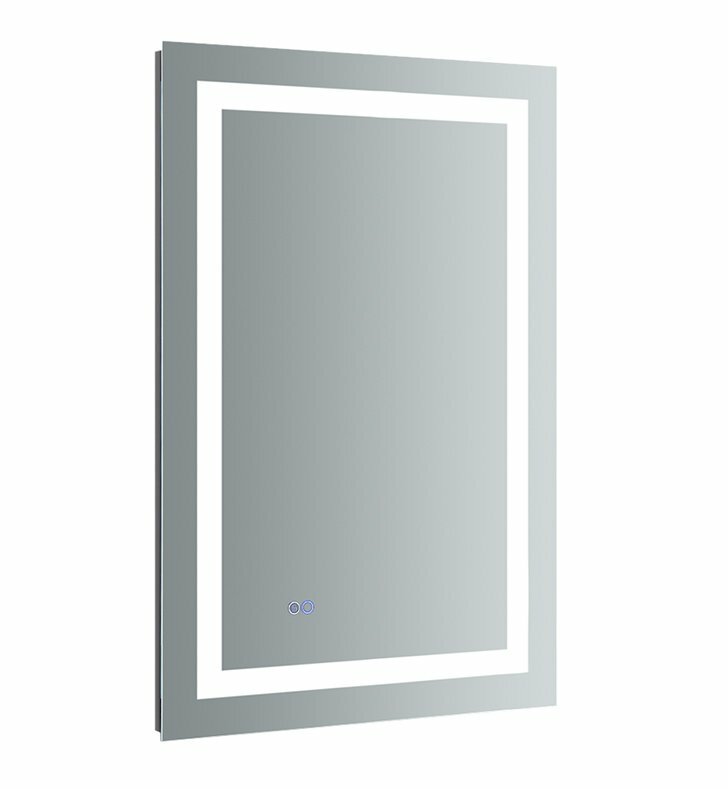 Dimensions: W 24" x H 36" x D 1 1/4"